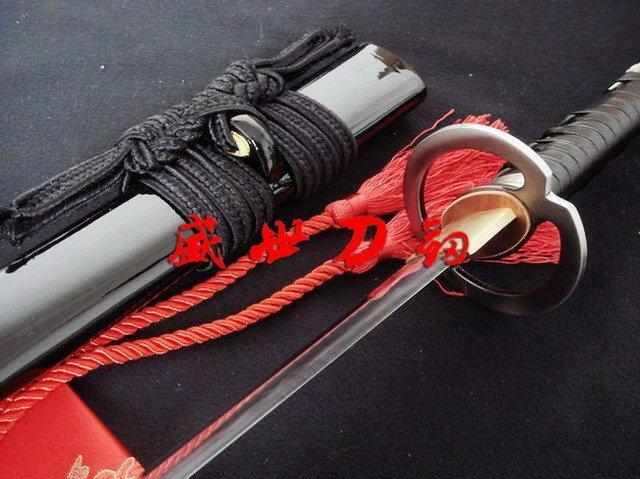 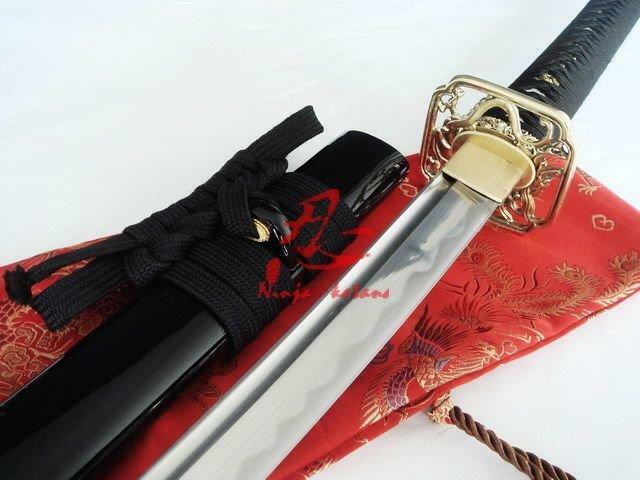 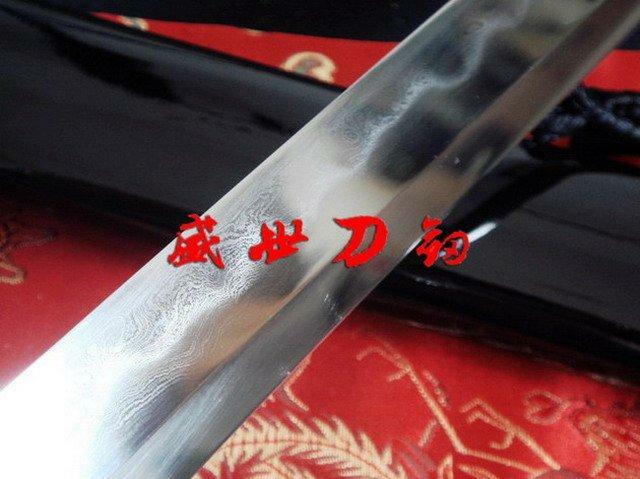 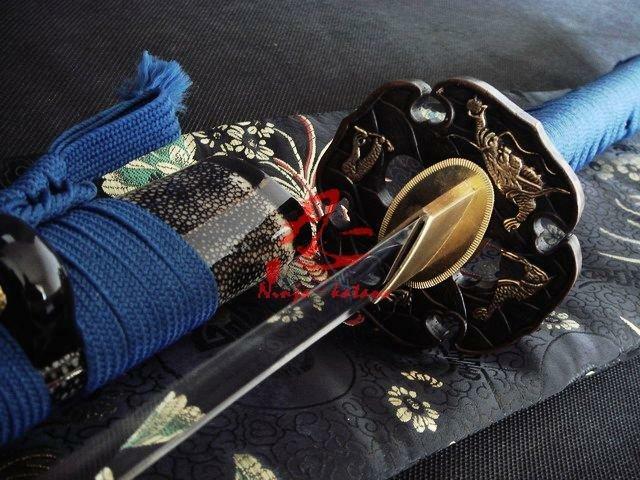 -Blade length/material: 71cm/28.0inch. 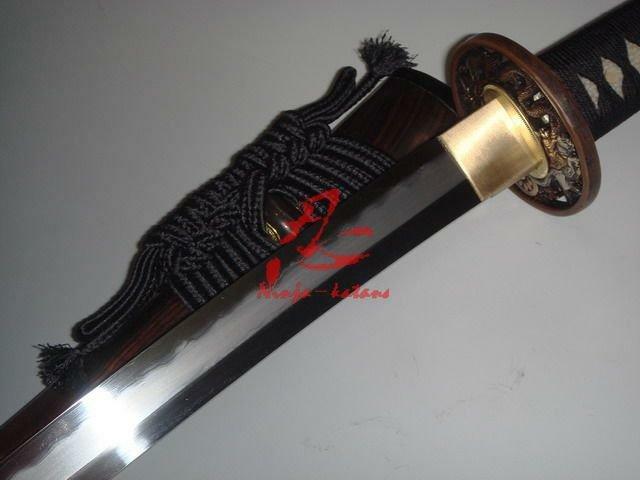 1075 high carbon folded steel. 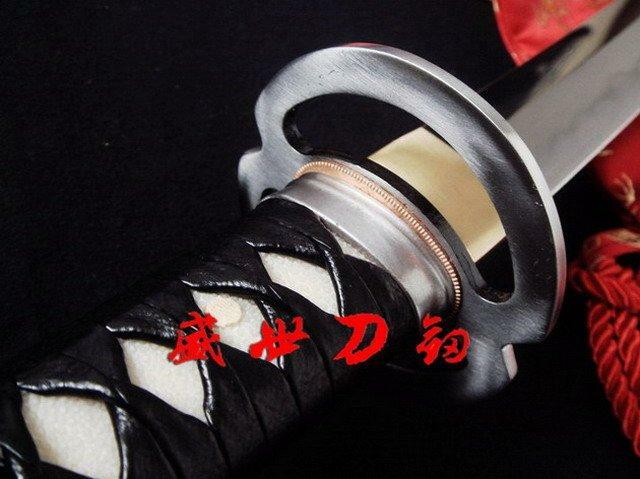 -fittings: made of high carbon steel. 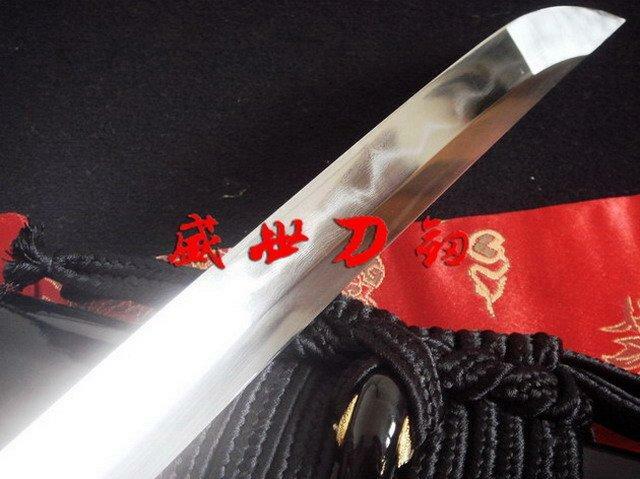 -Sheath (Scabbard): : made of hard wood. 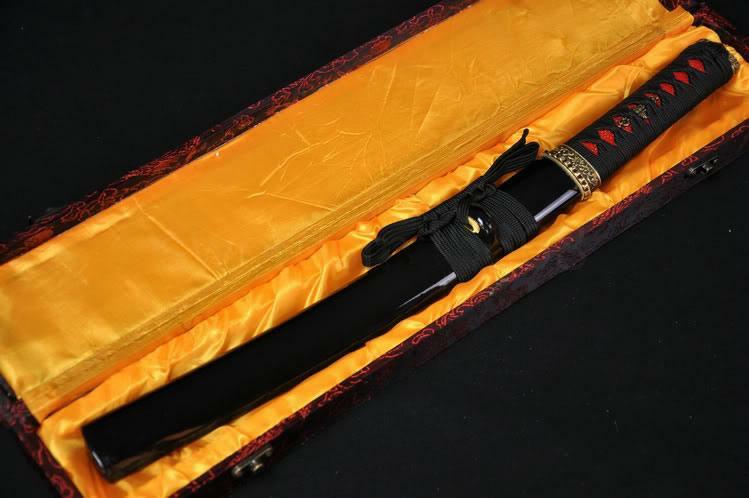 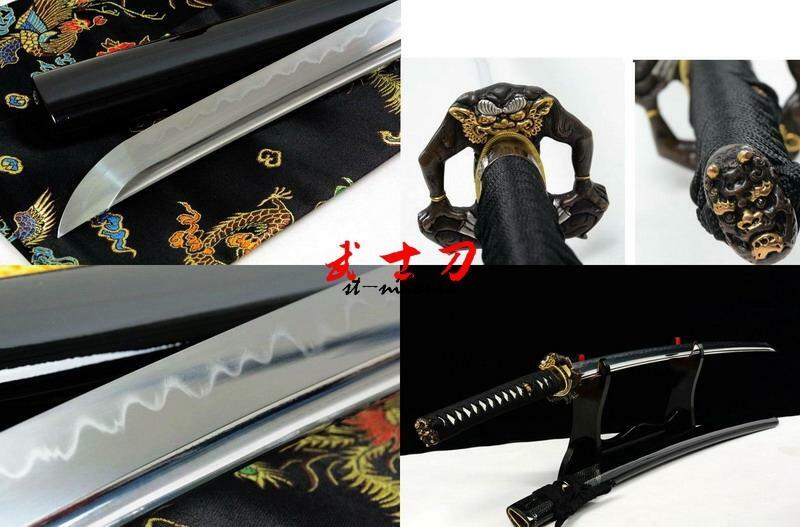 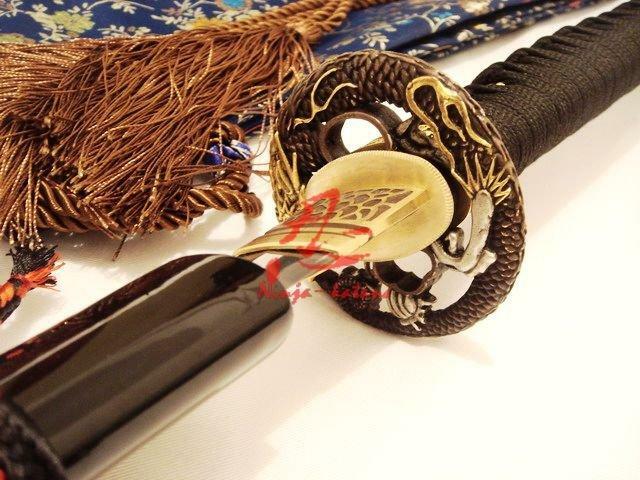 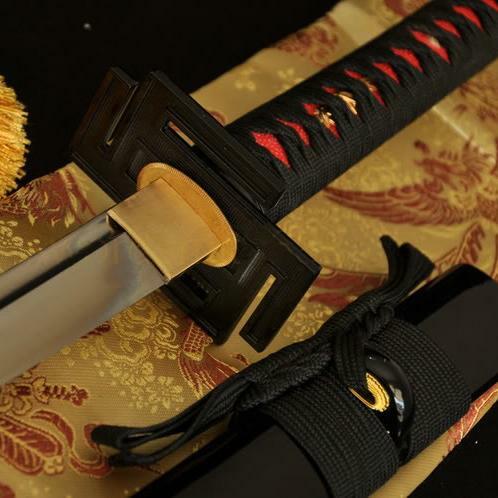 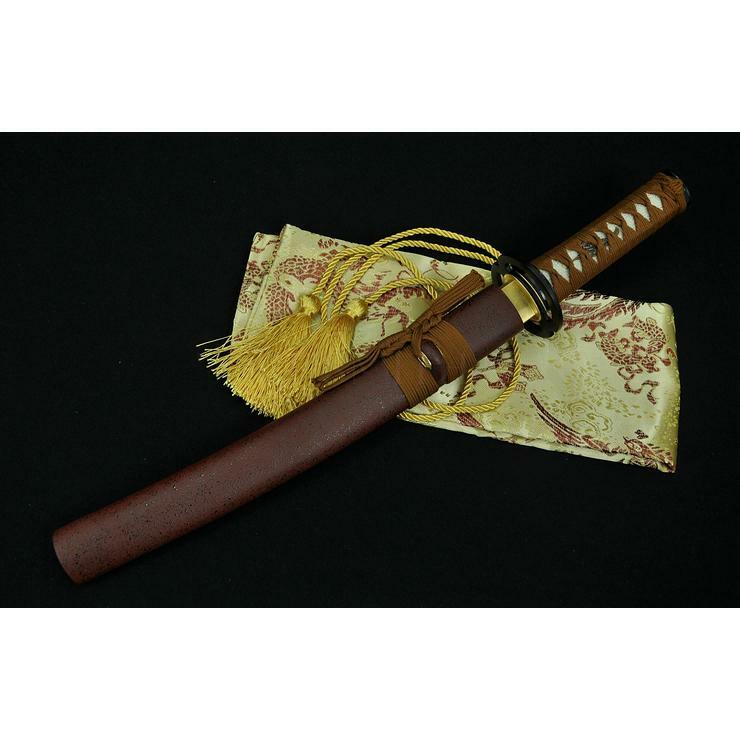 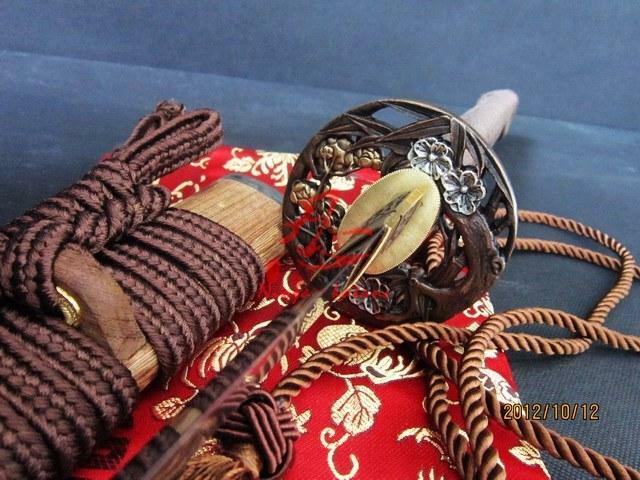 slik sageo also rolled both side of kurikata to match sword's tsuka-ito.